Since our inception in 2005, we’ve always had a strong sense of social, environmental and economic responsibility and an understanding that our success depends on having happy, healthy employees, satisfied customers and being a positive ambassador within not only the financial industry but also our local community. Our values have grown out of this understanding and the culture we’ve built over the years. We have 5 business values; simple, human, honest, ownership and focus. These values form the bedrock of everything we do, driving not only the service we deliver to our customers, but also the way we approach our responsibility as an employer and our responsibilities to our local community and the environment. Our values have led to involvement in a number of community and charity projects, a commitment to providing a cafe that is far above industry standard, delivering healthy meals to our staff, an innovative ‘on boarding’ process and an office wide engagement with recycling and looking after our planet, amongst many other things. They have allowed us to create an Amigo community where customers, employees, investors and the various causes we support really matter. Our values also lead us to continue to push for further improvement and excellence, not being satisfied to just continue doing what we’re already doing, but to be open to new ideas, thinking and ways of doing things. As our Amigo community continues to grow these values help us strengthen relationships with all our stakeholders, build trust, reduce operating costs, mitigate risks and attract and retain the most dynamic, smart and innovative talent in a crowded marketplace. Amigo takes pride in enabling our staff to live healthy, active lives. We offer a number of benefits which encourage staff to exercise. This includes free gym membership to a local gym which is a 2 minute walk away from the office. This enables lunch time workouts, as well as visits before and after work. We also have a weekly Yoga class. On top of this, to help employees build strong relationships while still being active, we encourage and fund team events such as Tough Mudder and team running events. Recently we have looked to increase awareness of mental health issues, starting with a guest speaker on World Mental Health Day. Talks on resilience were held throughout the day, which were attended by 135 members of staff from across the business. We have more of these talks planned for 2019 covering various mental health topics and a number of agents are enrolled to take part in mental health first aid training. We are aware our staff can often be sedentary while at work so we offer seated and lie down massages for free. This helps reduce the risk of musculoskeletal injuries while also providing therapeutic and stress reducing environment for relaxation. Further health benefits include healthy meal options in our café, fruit and salads available each day along with vegetarian lunch options and healthy juices for a perfect breakfast. Here at Amigo we are very conscious of the impact we have on our environment, perhaps heightened due to our close proximity to the award winning beaches and stunning natural scenery of the Dorset coastline. Over the past year Amigo has committed to a number of changes to try and reduce any adverse impact we may have on the environment. Our amazing cafe team endeavours to provide staff with a fantastic service as sustainably as possible. This has included the introduction of a vegetarian day each week to reduce the amount of meat consumed by the office, supporting local providers who specialise in organic produce, constantly working to reduce the amount of plastic used, championing recycling and introducing food recycling. In the year up to September 2018 the 48,400 plastic straws the business was using in the previous year have been replaced with cardboard recyclable straws. The 82,000 plastic cups the business was using in the previous year have been replaced with glass options. The 108,000 non recyclable hot cups the business was using in the previous year have been replaced with a fully recyclable version and usage reduced to 62,000 by introducing china options. And this is just the start, with the cafe team looking to completely remove non-recyclable individual drinks containers over the next year and moving from using plastic milk cartons to a dispensing system generating one tenth of the plastic waste. Amigo is involved in a number of charitable activities and primarily supports a local charity, Julia’s House, a children’s hospice who provide comfort and care to families across Dorset and Wiltshire. We run a scheme which encourages staff to make a donation to the charity each month through their wages. Currently 40% of staff are enrolled in this scheme and the company matches any staff donation. We also run a number of events throughout the year which raise further funds. Some of these are arranged by the business, such as ‘Pub Quiz’ nights and wine and cheese tasting evenings, where all proceeds go to charity, a business led fundraising scheme for a neighbour of the Amigo office who lost all their belongings in a house fire and arranging for a team to climb Kilimanjaro. Some are championed by our staff, such as employees shaving their heads for charity, employees training to compete in a charity boxing match, employees arranging charity fundraising nights in the office and even one employee getting a tattoo for charity! In total, Amigo raised £44,627.96 for Julia’s House in 2017. 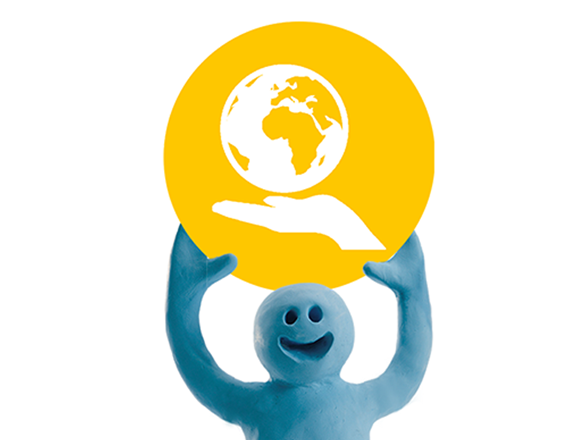 Employees of Amigo also supported a further seven charities through individual events, donating tens of thousands more. At Amigo we pride ourselves on looking after our staff from the moment they join the business, throughout their career and progression with us. When an employee joins the business they enter our Academy, a program designed in house to ensure that every new employee receives a complete introduction to the business and serving our customers. As an Amigo employee each person has access to our range of unique and innovative benefits. Many of these benefits have been designed around the concept of fixing everyday problems for our employees such as providing good, healthy food each day, or cheaper family holidays. Our benefits include a fantastic, restaurant quality cafe, holiday accommodation in 3 countries, being able to bring your dog to work, access to a series of luxury electric cars, free tickets to a number of local festivals, lie down and seated massages, subsidised haircuts, free health care, birthdays off and a number of discounts at local shops and restaurants. We also work hard to recognise and reward talent. We take a very personalised approach to how people grow. We have promoted many people internally and have found ways to grow, support and encourage employees and then given them opportunities. This includes manager development programmes and schemes which help agents enter a variety of support roles, such as project management. 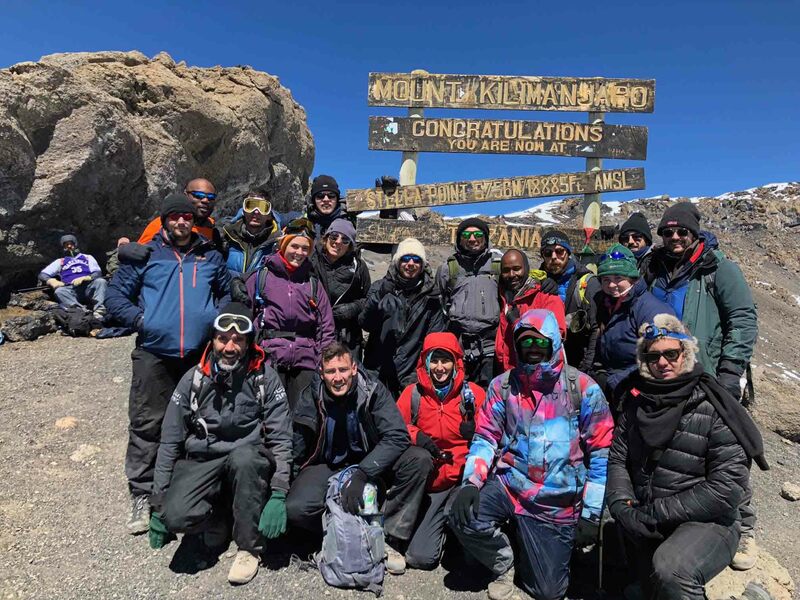 In August 10 members of the Amigo team joined 8 of their colleagues from the Richmond Group to climb Kilimanjaro in aid of Build Africa, a charity which works to fight poverty through education. As part of their training the team completed the Three Peaks Challenge (climbing the highest peaks in England, Wales and Scotland) and climbed Mount Toubaki, the highest mountain in North Africa. They then completed a gruelling 6 day climb to reach the summit of Kilimanjaro before visiting the school their donations are helping to build. Here they mucked in with the building work and delivered toys, text books and sanitary products to the children. In total the team raised an incredible £25,000! Everyone at Amigo is incredibly proud of the hard work and commitment demonstrated by all involved! In September, 24 Amigos completed Tough Mudder, a ten mile obstacle challenge containing 25 physical challenges. In their teams, our Amigos faced challenges ranging from getting every member over a 12 foot wall, to having to swim through icy water, to negotiating a field of electrically charged wires. The business covered the entry fee for all Amigos who got involved as part of its commitment to encouraging an active, healthy lifestyle. In October we introduced food waste recycling. The cafe team have been hard at work reorganising the cafe bins to allow food waste, recyclable materials and non recyclable materials to be disposed of separately. Food waste will be collected weekly to be taken away and processed in to renewable energy. We have partnered with Weltec Piddlehinton Anaerobic Digestion Plant to help achieve this and are pleased to be making this further step to become as green and environmentally friendly as possible. On the 25th November one of our agents organised a charity evening in aid of St Christopher’s Hospice. The event included a clothes swap, a raffle, beauty treatments and treats. The agent wanted to arrange this event as very sadly her Dad has reached stage 4 colon and liver cancer. The family have received a lot of support from St Christopher's hospice, a charity for terminally ill patients, to offer them pain control, alternative therapies and support and care for nearing the end. It helps patients come to terms with their diagnosis and helps their families with bereavement. Attendees were asked to contribute clothes and shoes as well as making a donation for attending. The event generated a massive level of support within the business with 20 people attending, many employees donated clothing and employees offered raffle prizes. In total the event raised £4579, which was matched by the business. Wednesday 10th October was World Mental Health Awareness Day and we used this opportunity to raise awareness of mental health within Amigo. The charity MIND state 1 in 4 people suffer with mental health problem. This equates to 68 Amigos potentially experiencing mental health problems. To help tackle this we invited Paul Scadding to come visit us. Paul is a life coach and has worked with many businesses promoting good mental health. Paul offered 45 minute talks on resilience for staff on the 10th of October. Every Amigo had the opportunity and was encouraged to attend. We also sent round some key facts and figures to everyone in the business to help highlight the importance of promoting awareness of mental health and providing support. On the day 135 Amigos attended the talks and the feedback was very positive! Our cafe team continuing their commitment to going as green as possible, making it even easier for employees to recycle and reducing our plastic usage as much as possible. Expanding the support we offer to local charities and developing new schemes to enable agents to become more involved with the charities we support and the charities that mean a lot to them. Further increasing mental health awareness through a number of employees training to become mental health first aiders.